The Beverly Hills area was annexed on August 25th, 1959. It was necessary to provide fire protection within one year of annexation which left little time to build a fire station. 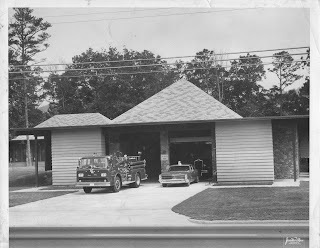 Because of this, a house was leased at Arco and Tunnel Roads and a large garage was built to house the fire truck for Station 8. This temporary station went into service on June 6th, 1960 at 12:15p.m. The article above from the Asheville Times is the only known photo of the temporary station. 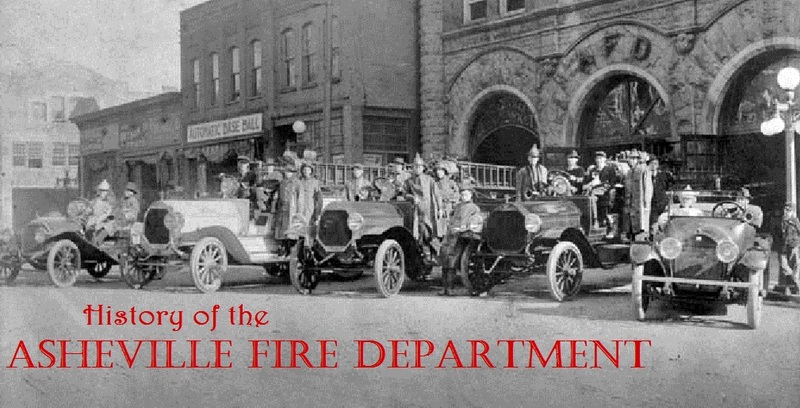 This article was made when the area's first non-private ambulance service started. 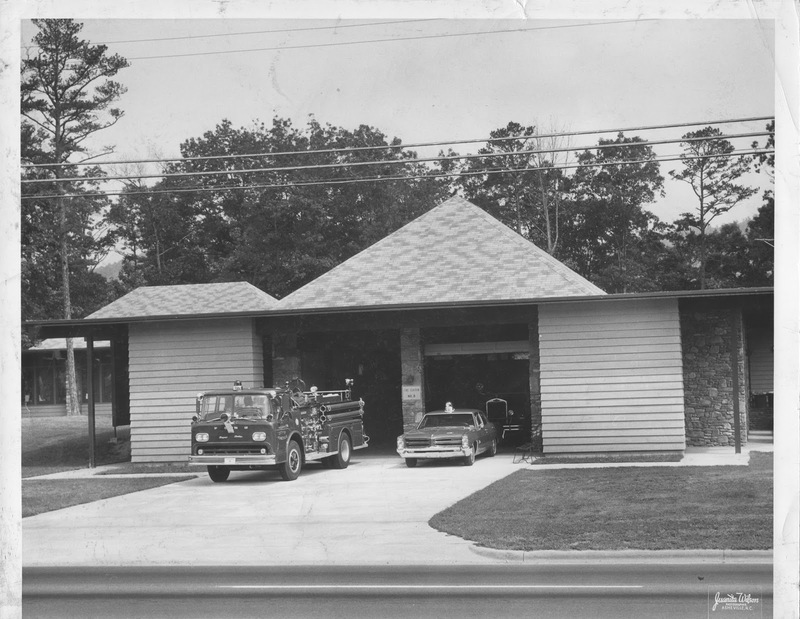 The new Station 8 opened up the road on February 28th, 1966 at 3:30 p.m. An extensive remodel was done in 2001. During this time, Ladder 8 was stationed at the VA Hospital during the day and would sleep in the under-construction station at night. 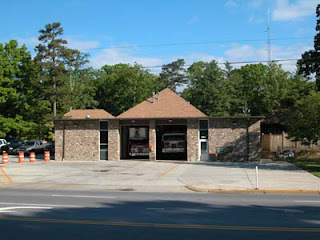 Engine 8 was stationed at Haw Creek Volunteer Fire Department. Included in the remodel: added onto the back of the station to move the dorm and create a weight room, removed locker room and made Captains' bunks, created a female locker room and bathroom, opened up kitchen and dayroom, created office space, and created an additional small bay.